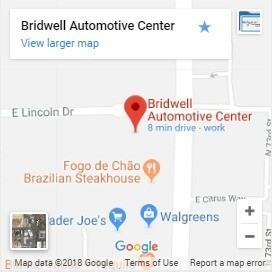 If you’re searching for “Radiator Repair Scottsdale“, Bridwell Automotive Center can help! Our team ASE Certified repair technicians can perform radiator repair for any problem. 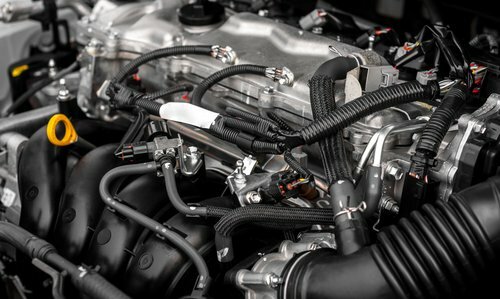 From leaks to worn out radiators we will find and fix whatever is wrong with your vehicle’s engine cooling system. Our goal is to always provide excellent service that keep vehicles on the road and all of our valued customers completely satisfied. Today’s coolants last longer than ever before. Some are even supposed to last 100,000 miles! Older coolant damages your cooling system and engine. This coolant, or anti-freeze, is slowly depleted of buffering ingredients. It becomes extremely corrosive, literally eating holes in your cooling system components. Corrosion damage, as well as rust and scale, clog the passageways that bring the water through the radiator. They also choke off the flow. This results in an overheated engine that may be damaged beyond repair. Auto manufacturers try to show that their vehicles require less maintenance than their competition. Don’t let your vehicle’s engine be damaged from corrosive coolants or anti freeze that has been left for too long. Most of your 100,000 mile coolant should be changed by 60,000 miles or 5 years. All of our technicians are ASE Certified Master Technicians. We repair radiators, radiator hoses, and replace radiator anti-freeze. We perform diagnostic testing for your radiator and inspect the hoses and check the cooling system fluid levels. You want get in and out of the service bay as quickly as possible. 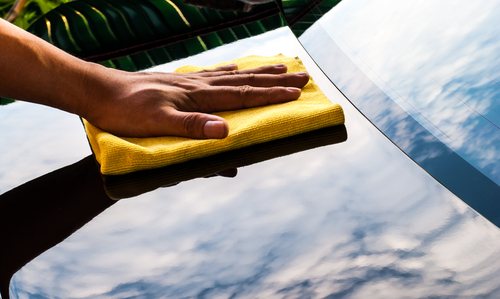 Most of all, you will leave with total confidence that your vehicle has been expertly serviced by caring professionals. We are a large part of the community we serve. Most of all, we want to make it a better place every day. Consequently, we can take care of you if you are in need of preventative maintenance services. We believe in the quality of our staff. Because of this, we guarantee your satisfaction on each and every job that we undertake. We are car lovers as well as people lovers! Come in to see us at Bridwell Auto Center in Scottsdale, AZ! Your vehicle’s radiator is the heart of the cooling system that keep it running. The radiator fluid pulls the immense heat from the engine by circulating water and cool air from outside the system. Without a radiator, or with a broken one, your engine will overheat and pistons would break. This can and will cause catastrophic damage to your vehicle. It is absolutely critical for the life of your vehicle to repair a broken radiator immediately. Not all radiator problems are obvious, so use these symptoms to know when it might be going out. One of the easiest symptoms to spot is a radiator leak. If you see a puddle under your vehicle that’s either green or red and is slimy you’ve likely got a radiator leak. Radiator fluid is toxic and will harm animals or people, so it’s important to get leaks cleaned up. A radiator leak can lead to serious damage to your engine. Another common symptom of a bad radiator is your vehicle overheats. Even if the overheating is only minor it is a huge sign that something isn’t right with your vehicle’s engine cooling system. In most cases issues turns out to be a minor leak, but can cause major damage. Radiators are designed by your vehicle’s manufacturer to run at a certain pressure. 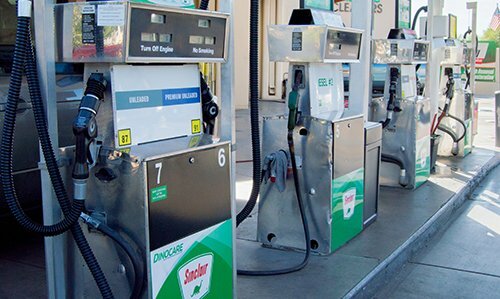 Generally, the pressure should be between 10 to 12 PSI. Radiators that have excessive corrosion will have lower pressure levels and should be serviced immediately. Owners can check the pressure level with gauges that fit over where the radiator cap goes. It’s hard to see what’s going on inside your radiator and it’s components, but you can watch for signs of rust. If you see rust on the radiator, around it, or near it’s hoses you should take those signs serious. It is a clear indication you’ve got leaks or might have lower pressure. When your radiator, hoses, or other components of your vehicle’s engine cooling system leak, it puts your coolant level low. While coolant does deplete naturally over time sudden drops are a symptom that something is wrong. Pop the hood and check your hoses and connections to look for leaks. If those areas are good the system could have another leak hidden somewhere. Radiator flushes are need to make sure the cooling system is running efficiently, as it eliminates the rust, dirt and other various particles that can build up in your radiator. If your radiator fluid is a 50/50 mix of antifreeze and distilled water and becomes contaminated, it will prevent your engine from cooling efficiently while running. Running an engine that has contaminated fluid in the radiator can result in a cracked block or head. Furthermore, if your engine coolant is not changed on time, it can start losing its capabilities of anti corrosion, which can end up deteriorating the metals the engine is made of including, copper, steel, aluminum and more. Corrosion and scale buildup can clog radiators, water pumps and even build up inside the heater core. If your vehicle has any of the problems or symptoms listed on this page, give us a call to help preserve the condition and value of your vehicle. Let our Master ASE vehicle repair technicians help you find and fix whatever problem you’re having with your radiator. Bridwell offers radiator repair in Scottsdale to keep your car running smooth.